As most of us here at Dyer Island Cruises know, the ocean is a very unpredictable place and every day at sea may bring new sightings that we could only dream of. 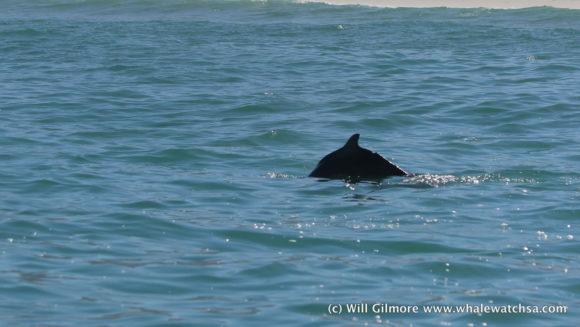 Today, started out cruising through the shallows in pursuit of the very endangered Indian Ocean Humpback Dolphins. We found a small group of four individuals playing in the breakers, fortunately, the picked up on the boat and resulted in some great sightings of the animals. After finishing in the shallows, we usually head towards our sister company, Marine Dynamics, in hopes of showing our guests the infamous great white shark, today, however, the shark cage diving vessel was anchored at the island and packing up to make its way back to the shallows. Our skipper decided to take us behind the island first to return to the sharks later. 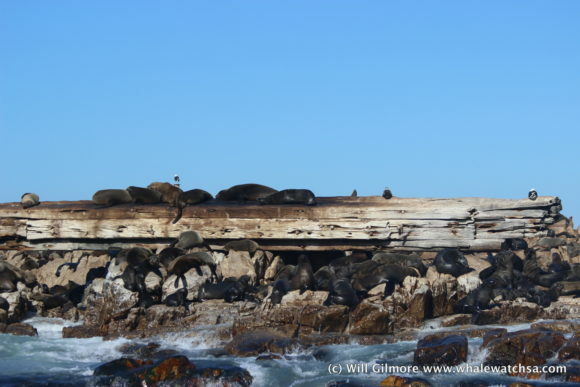 There was little activity behind the island so we decided to head to Geyser Rock and get a glimpse of our 60,000 cape fur seals. The seals, as always are great fun to watch in and out of the water, on land they seem lazy and cumbersome, but in the water, they are fast moving and very agile. After stopping at the seals, we made a quick stop in Sponge bay to point out a pair of waddling penguins. Sometimes in can be quite difficult to point out the penguins, but today was very easy as most of the cormorants seemed to be out fishing. It was at this point the trip turned upside down. As we left the island, we made the quick journey over De Clyde Reef towards the shark vessel. All of a sudden, our spotter made quite the commotion from the upper deck, we stopped and waited unsure of what was spotted. Orca. This was amazing to see as orcas rarely visit our bay at all and are mostly associated with dolphin hunting in South African waters. The Orca are the largest dolphin species and can weigh up to 6 tons and grown to just over 9 meters long. 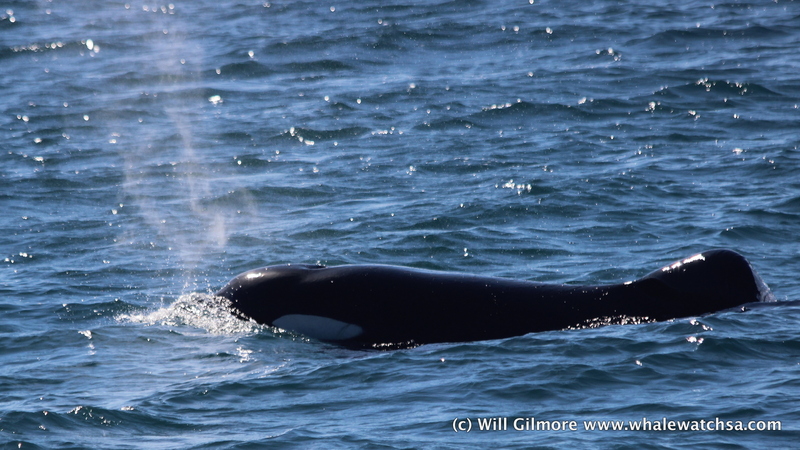 We knew this was a male orca due to the collapsed dorsal fin, these fins on a large male can grow to 2 meters in length. 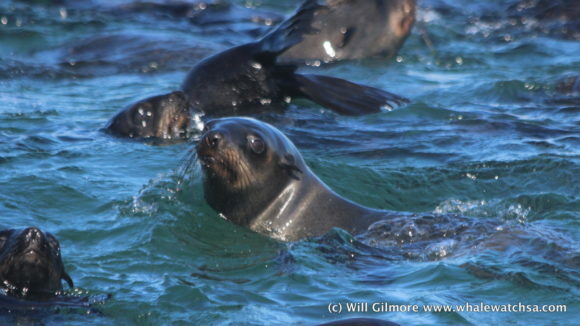 Completely awestruck, we followed the animal for over half an hour before returning to the harbour.